Working in an archive, I deal with a lot of metadata. Some of this metadata is from controlled vocabularies. Sometimes they show up in lists. Some times these controlled vocabularies can be very large, like for the names of language where there are a limited amount of languages but the amount is just over 7,000. 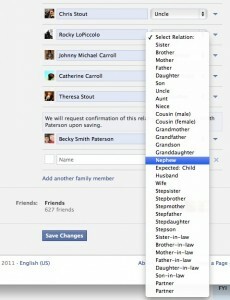 I like to keep an eye out for how websites optimized the options for users. 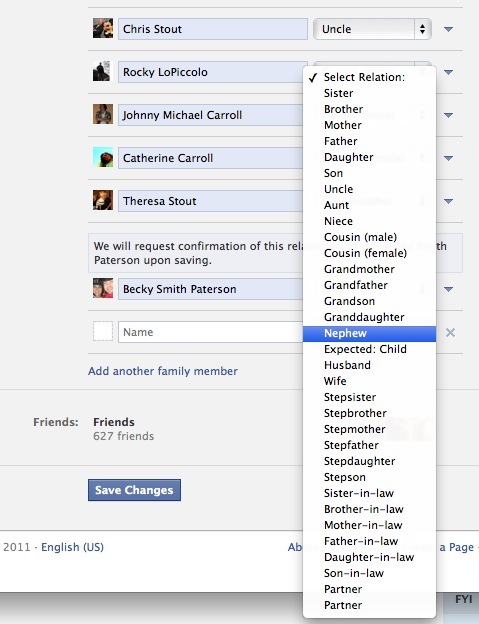 FaceBook, has a pretty cool feature for narrowing down the list of possible family relationships someone has to you. i.e. a sibling could be a brother/sister, step-brother/step-sister, or a half-brother/half-sister. But if the sibling is male, it can only be a brother, step-brother, or a half-brother. 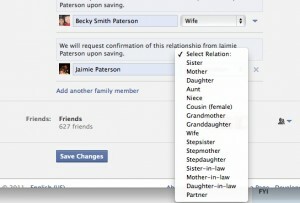 FaceBook narrows the logical selection down based on atributes of the person mentioned in the relationship. 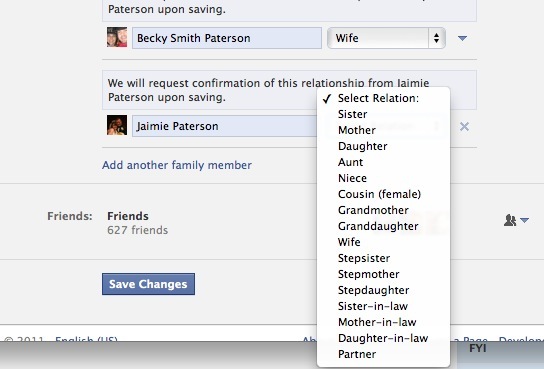 That is if I select Becky, my wife, as an person to be in a relationship with me then FaceBook determines that based on her gender atribute that she can only be referenced by the female relationships. Menu showing just some relationships based on an atribute of the person referenced. This entry was posted in Access, Blogging, Digital Archival and tagged archival, Digital Archival, facebook, Lists, UI by Hugh Paterson III. Bookmark the permalink.